How Long Does Something Stay on Your Credit Report? A danger foreseen is half avoided. We all wish we could be warned ahead of time or could foresee a problem in time to reduce its negative impact. But the reality proves quite the contrary. No matter how hard we try, things will always go south. Especially when it comes to financial mistakes. Have you ever wondered how long does something stay on your credit report in case you’ve made a mistake? In an ideal world, we don’t miss a step. Unfortunately, ‘errare humanum est’ (i.e. to err is human). Whether you think that closing your account means disappearing things from your credit history, you’re wrong. Moreover, all your closed accounts can still affect your credit score. The good news is that it sounds worse than it actually is. While negative entries are age off, positive information doesn’t. How Long Do Negative Marks Stay on Credit Report? The fact is true, negative marks are a natural part of your credit report. That includes your late or missed payments. Say, if you stopped paying a credit card bill for a year, your account could go to a debt collector, without a doubt. You decided to pay the debt collector to remove the account. Great, but it won’t do the trick. Here’s a reality check: the debt collector account would disappear, but not the original issuer account. The latter would still reflect your missed payments and affect your credit report within seven years. Besides, if you have an account in good standing, and you decide to close it, it will stay on your report for 10 years. The thing is that active credit accounts that are paid on time stay on your credit report as long as the account is open. That is one of the key reasons why it’s nonsense to close an account in good standing. So, if you don’t want to lower your average age of credit, avoid making a mistake by closing an account in good standing. Different things stay on your credit report for different amounts of time. One thing to remember here is that any negative credit activity will stay on your credit report for at least seven years. That includes late payments, defaults, collections, bankruptcies, and the like. So, whether you apply for new accounts too quickly or make payments late, get ready to wait it out. Bad credit is a description of your score, not the items on your report. Moreover, there are ways to improve your credit score even if bad items stay on your report. In order to achieve that let credit repair services fix your credit score. Late payments can be reflected in your credit report seven to ten years from the original delinquency date. As a result, late payments such an auto loan affect your report as much as for ten years. The same goes for bankruptcy. Considering that there are multiple types of bankruptcy, the timeline for seven to ten years will show up on credit report. When it comes to foreclosure, it won’t ruin your credit history, yet it will have a negative impact for seven years. Indeed, having negative marks on your credit report for seven years isn’t ideal but time heals all things. The best thing is that as the late payment is further and further in the past, the impact it has on your credit score gets smaller and smaller. What’s more, some collecting agencies are willing to remove negative entries from your credit report if you convince them to do so with a letter of goodwill. Not bad idea, all in all. Thus, if you have any unpaid collections or charge-offs, you have options. First, negotiate with the debt creditor or collection agency and say what you can. Then, offer to pay the debt and delete the negative marks from your credit report. One thing to remember here is that the key is to get everything in writing. Otherwise, you’ll come up with nothing. If none of the above strategies have worked, wait it out. Once the time frame is up, negative marks on a credit report should be deleted. How to Remove Negative Marks on Credit Report? The first rule to remember (if you’re struggling to keep up with the credit card or loan payments) is to avoid keeping creditors in the dark. Reach out to them at the first sign of trouble. “You should be honest with the creditor. Give them a call to see if they offer hardship payment plans or deferments so you can avoid negative marks on your credit report”, says Tiffany Aliche, the personal finance blogger behind The Budgetnista. So, what options do you have? Wait it out. Nothing lasts forever, not even the negative marks on credit. That’s why it makes a whole lot of sense to check your credit report a few times per year for accuracy. Had you known about it before, you would have profited from it a lot more. Any negative information in the payment history will be deleted seven years from the original delinquency date of the debt’, says Rod Griffin, director of public education at Experian. According to NFCC study, 36 percent of Americans think that there’s no reason to check their credit score, while 8 percent don’t know how and other 8 percent think it’s rather expensive. The worst thing is that 44 percent of consumers believe that credit scores and credit reports mean the same, the American Bankers Association revealed. An amendment to the FCRA requires each of the nationwide credit reporting companies – Experian, Equifax, and TransUnion, to provide you with a free copy of your credit report, once every 12 months. But no credit reporting agency is responsible for the accuracy of your credit report, instead, you are. So, if even the smallest detail is incorrect, you can dispute the whole entry. Eight million times a year, consumers contacted one of the big three credit reporting agencies to dispute information. Studies have shown that most people’s credit reports contain errors. Size, speed, and economic incentives are one of the most important reasons for inaccurate credit reports. More than one in five consumers have a ‘potentially material error’ in their credit file that makes them look riskier than they are, according to CNBC. When Does a Charge-Off Leave Credit Report? Generally, charge-off happens when you don’t pay your bill for an extended period of time. Just like any other late payments, charge-off will leave your credit report seven years from the time you first missed a payment. This allows lenders to distinguish consumers who always pay on time from those who pay late. From those who default and never pay at all, says Danaher, president, consumer interactive of TransUnion credit reporting agency in Chicago. It’s easy to take the stress out of credit report as long as you know how long do negative items stay on your credit report. Even if your negotiation fails, you have options. First and foremost, decide if you want to pay the account or not. “If you already have a low score, a charge-off will still drop your score by fewer points”, says Ryan Greely, Denver-based editor of the Better Credit Blog. As long as the credit reporting time will come to the end, it will affect your credit score lesser. Yet, there’s a trick here. In that case, some lenders won’t grant you new credits or short term money loans until you’ve taken care of all your past due accounts. Otherwise, if you plan to get a mortgage or an auto loan in the nearest future, not paying charge-off is a big no-no. As long as you can keep yourself financially responsible, you can make sure your credit report is accurate and complete. Indeed, the best way to manage your debt is to avoid getting into the one. Be sure to make payments on time and in full. Never ignore a charge-off as it can hurt your ability to qualify for a loan or credit. Once you’ve paid your bills, make sure your credit report reflects the payment. So, how long do things stay on your credit report? Well, seven years at least. 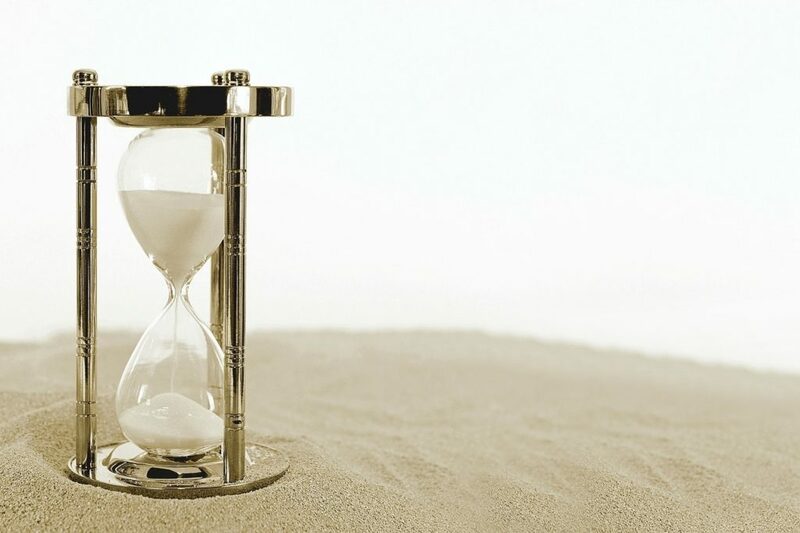 You can’t afford to wait for the item to age off of your report for so long time, can you? As long as you keep your credit report accurate, mistakes can be foreseen. Can a Payday Loan Company Sue You?